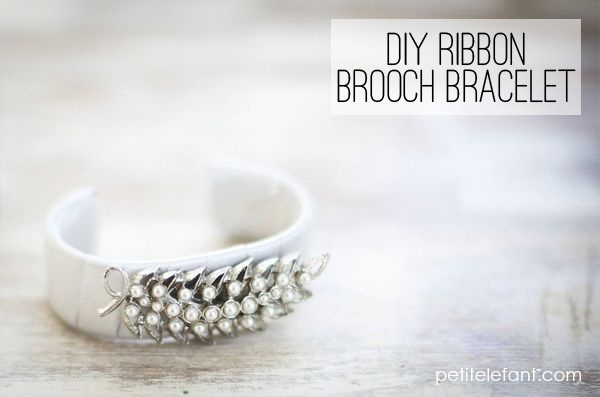 Today: old brooches turned into a DIY bracelet tutorial for your Wednesday, just the way you like it. An old box full of beautiful brooches sits on my dresser, most of them inherited from my mother and grandmother. Almost every day I look at them and think, ‘I really should wear those more often.’ And then because they don’t match or I’m worried the kids will pull at them, I throw on a bracelet (either sequins or studs) instead. 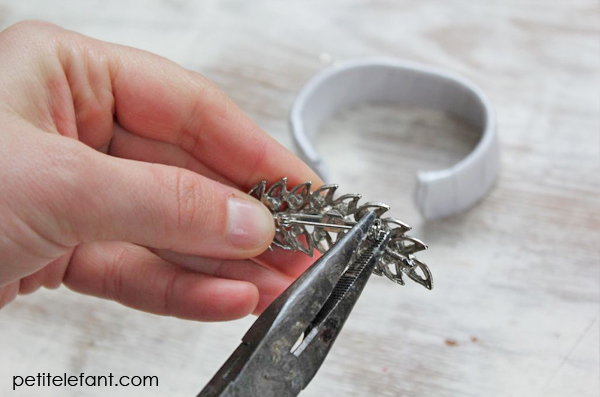 When I saw this pretty Anthropologie bracelet I had an epiphany – I should be wearing my old brooches as bracelets; they definitely add a touch of glam to a basic bracelet and I knew a bracelet would be so easy to make so I created this DIY tutorial so you can make your own old (grandma inherited) brooch bracelet. 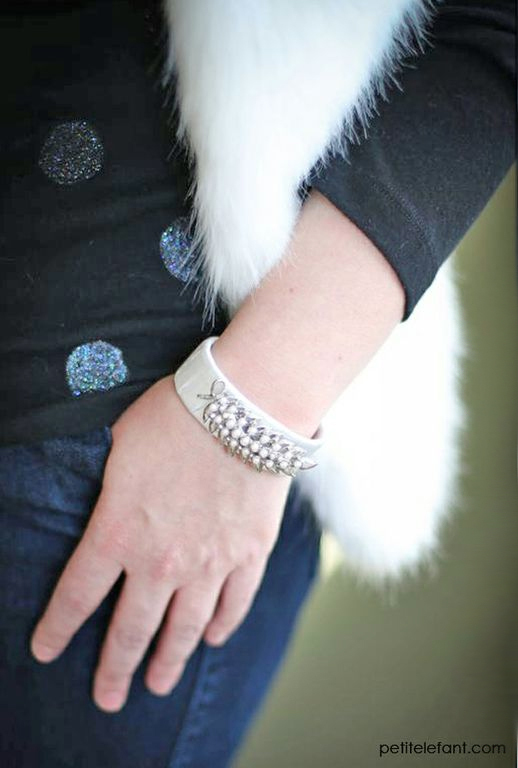 A cuff bracelet. Chances are you have one of these on hand. If not, you can get a cheap one at any craft store. Ribbon. 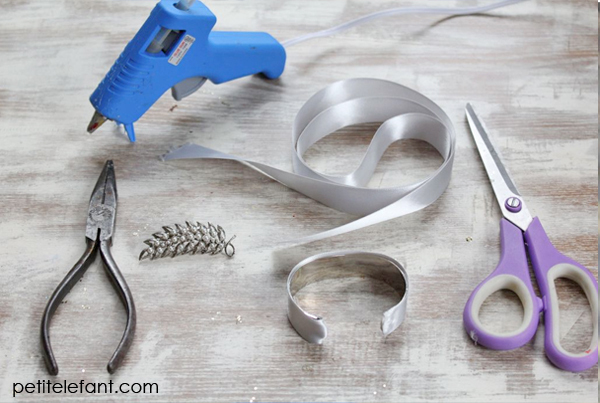 You can make a couple of bracelets out of a yard. A sparkly old (or new) brooch. One you don’t mind removing the backing from. 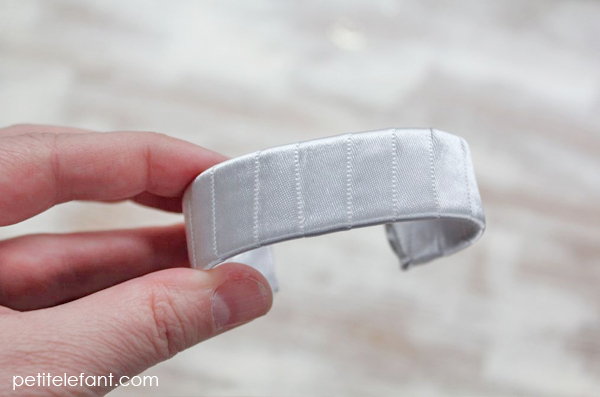 First you want to cover the outside of the cuff with ribbon. 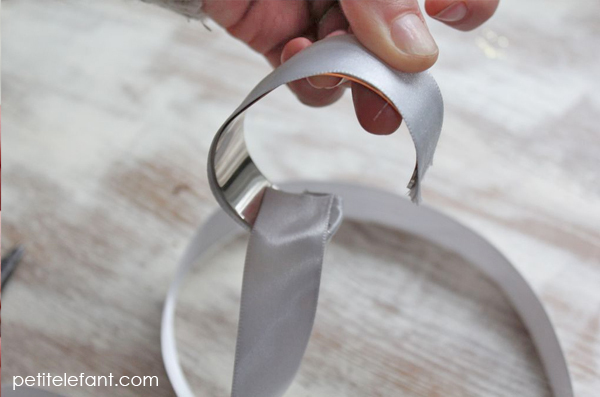 Hot glue the ribbon inside one edge of the cuff and wrap it all the way around the outside. Loop around the other end and hot glue into place. Can you see in the photo how one end of my ribbon goes around the edge of the bracelet and one doesn’t? You want yours to go around both ends. That makes it much easier to wrap and finish the ribbon ends. 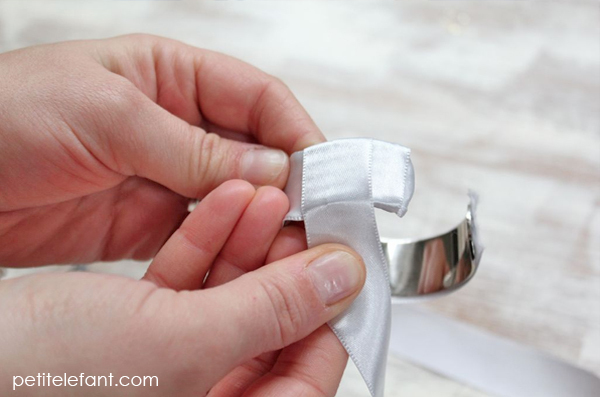 Then, starting at one end of the cuff, wrap the ribbon around. Wrap so that each the layers overlap each other. 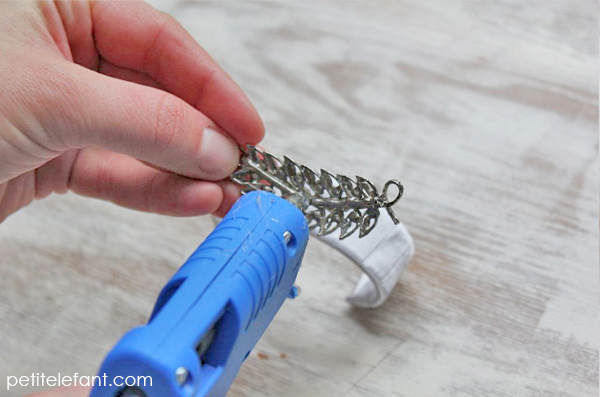 Wrap tightly all the way around the cuff and finish the ends with hot glue. Then using pliers, remove the backing to the old brooch. 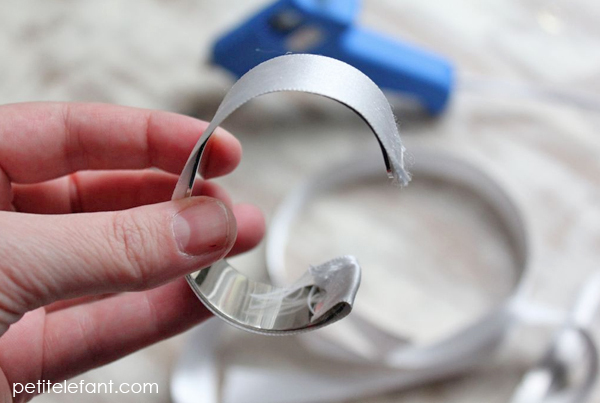 Hot glue into place on top of the bracelet. I have to say, I love how it turned out. Just as chic as my grandmother but updated a bit for my style. Do you have old brooches? How do you wear them? Pretty! 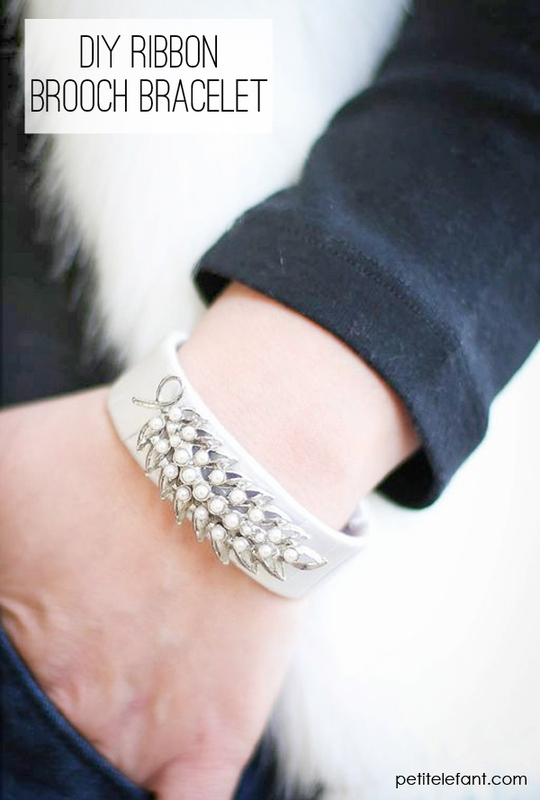 what a great idea for a bracelet! I have some brooches that I’m deciding what to do with and this is a great idea! Great idea and it works really well. If you’re careful you can leave the brooch intact and pin it onto the ribbon. That way the brooches are interchangeable.